Are you an anti-Christ if you reject Jesus Christ in your belief system? Or are you, in fact, an anti-Christ if you accept Jesus in your belief system? This issue is worth discussing because it relates to a prophetic event described in Matthew 22:2-14 or the ‘Parable of the Great Wedding Feast’ . 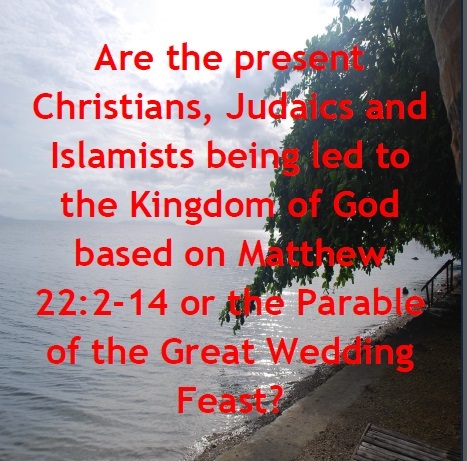 2“The kingdom of heaven is like a king who prepared a wedding banquet for his son. 3He sent his servants to those who had been invited to the banquet to tell them to come, but they refused to come.